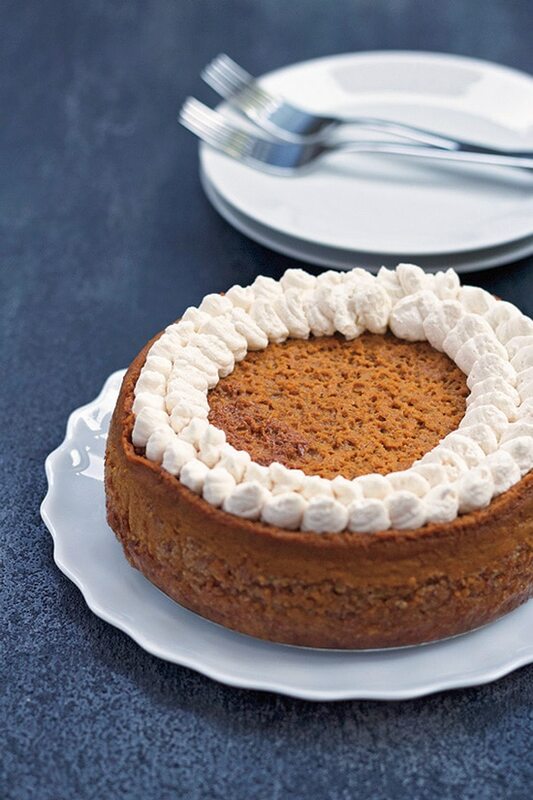 It’s all about the Instant Pot® Pumpkin Pie! OK. You guys, I love pumpkin pie. Like, love, love, LOVE pumpkin pie. I would eat pumpkin pie year round if I could. Well, I guess I could, but honestly, whenever I make my own pumpkin pie at home, it never turns out tasting quite right. I have no idea why I don’t have the “special” pumpkin pie touch, but apparently, I don’t. I’ve tried a bunch of different recipes and also tried making my own, but none of them work. Oh yes, I have finally found the pumpkin pie of my dreams…and it can be made in my favorite kitchen appliance, the Instant Pot®! And a gazillion more. This gal knows her way around a kitchen and has such a craft when it comes to creating amazing recipes and mouthwatering photos. Emily and I became really good friends during her time as a contributor on this site and her friendship is such a blessing to me. She is one of the kindest hearted, most genuinely loving people that I have ever met. When she told me that she had gotten a book deal and had to step away as a site contributor, I was thrilled for her. It was so incredible to see how far she had grown in the time we had been friends and I was so very proud of her. It was Emily’s dream as a little girl to write a cookbook and her mom always told her that she would one day. This cookbook is near and dear to Emily’s heart for many reasons, but mostly because it’s a dedication and honor to her beloved mother. Her mother may not be here to physically see the book, but she would love that Emily included little bits about her and their fond food memories. Emily’s love and passion for food stems back to her mom and her childhood. Like me (and the rest of the real food world), Emily fell in love with her Instant Pot® and knew that she had to share her creations with the world. She is doing just that with her new cookbook, The Art of Great Cooking with Your Instant Pot®. Her mother would be so proud of her because Emily really created a masterpiece. This book excited me, not only because it is Emily’s first cookbook, but because I am always looking for new ways to use my Instant Pot® (umm, hellow Instant Pot® Pumpkin Pie!) more than I already do. I love the variety this appliance offers and how simple clean-up is when I use it. Many times the last thing I want to do after a long day of working is cook dinner and clean the kitchen. The Instant Pot allows me to save time prepping food and save time cleaning up. If you’re like me and have a busy schedule and short on time to cook, then The Art of Great Cooking With Your Instant Pot® is for you. Cooking real food and getting meals on the table doesn’t have to be hard or complicated, it can be fun and enjoyable! Especially when you use your Instant Pot® … otherwise known as one of the most brilliant kitchen tools that locks in flavor and nutrition and helps you get meals (and desserts like this Instant Pot® Pumpkin Pie) on the table faster than ever. You’ll spend less time in the kitchen and that means getting to spend more time with your loved ones or get things done that you need to work on. And if you’re cooking for family members with food allergies or sensitivities, you can rest assured that there won’t be any questionable or processed ingredients in your meals. Before we dive into this amazing pumpkin pie recipe, let’s talk a little bit about the specifics of this fun new cookbook. It features 80 restaurant worthy, gluten-free, nourishing recipes. The recipes are allergy-friendly, WAPF-friendly and most are Paleo-friendly and have grain-free options. There are vegetarian options too. It’s full of hearty meat dishes, beautiful soups and stews, gourmet pasta dishes, comforting casseroles, appetizing breakfasts and heavenly SWEET TREATS! All of the recipes support your family’s wellness with real, nutrient-rich and gluten-free ingredients (with WAPF standards for sprouted grains and beans). Chapters include… Hearty Beef, Pork & Lamb, Elegant Poultry, Delectable Pastas, Seafood, Vegetables & More, Beautiful Soups, Tantalizing Stews, Appetizing Breakfasts, and Heavenly Sweet Treats. 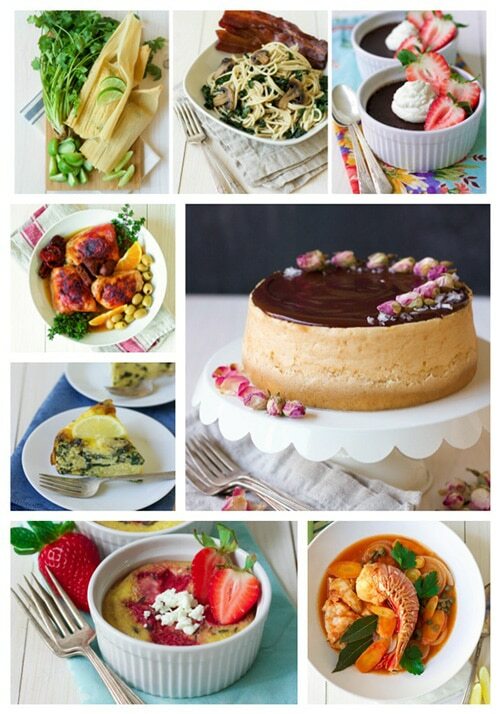 A cookbook is all about the recipes, so how about a peek at a sample of what’s included? 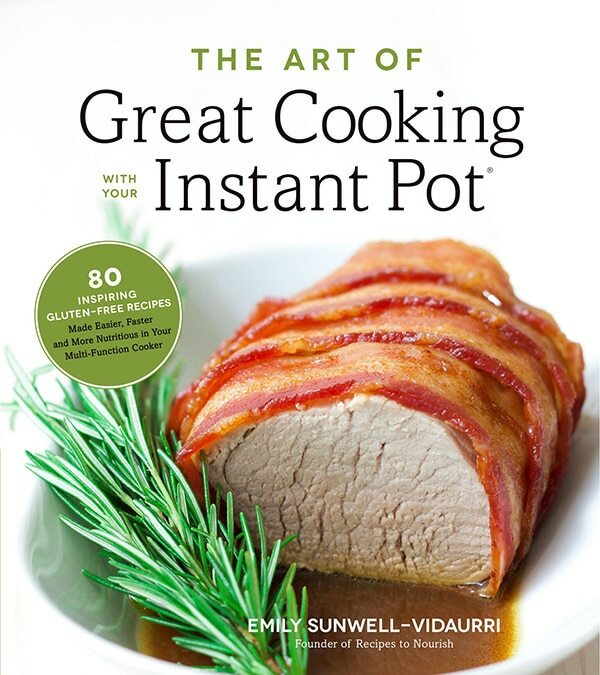 This is definitely a must-have book for any Instant Pot® lover. You can find it on Amazon here and get a sneak peek at the insides of the book (including her amazing photos). Now, who wants some Instant Pot® Pumpkin Pie? Jaggery is a traditional sweetener made by evaporating raw sugarcane juice without separating the molasses from the crystals. It contains trace minerals and has a richer taste than sugar. It adds a lovely touch to traditional pumpkin pie. With butter, grease a 6" (15-cm) or 7" (18-cm) springform pan or a 1½-quart (1.5-L) casserole dish that fits in your Instant Pot. Set aside. Add all crust ingredients to a mixing bowl. With clean hands, mix until completely combined. Dump the mixture into your springform pan and press down to form a packed “crust” at the bottom. Don’t allow too much to go up the sides of the pan. Transfer the pan to the freezer for 15 minutes. While the crust is chilling, make the pumpkin pie filling. In a large mixing bowl with a mixer or in a blender, add the pumpkin purée, maple syrup, egg, cream, orange zest, vanilla, cinnamon, cloves, ginger and allspice. Mix on a low speed until smooth and fully combined. Pour the pumpkin pie filling into the frozen springform pan. Use a spoon or spatula to evenly distribute and smooth the top. Place the Instant Pot trivet in your Instant Pot. Pour 1 cup (237 ml) of water into the Instant Pot. Gently place your springform pan in the Instant Pot and cover with a casserole dish glass lid. Place the lid on the Instant Pot, making sure the steam release valve is sealed. Press the “Manual”setting and increase the time using the “+” button until you reach 35 minutes. When the Instant Pot is done and beeps, press “Keep Warm/Cancel.” Allow the Instant Pot to release pressure naturally for 15 minutes. Using an oven mitt, “quick release”/open the steam release valve. When the steam venting stops and the silver dial drops, carefully open the lid. Remove the lid and carefully lift the trivet and the pumpkin pie out of the Instant Pot. Use oven mitts or thick towels because the Instant Pot and springform pan will be extremely hot. Allow the pumpkin pie to cool to room temperature with the lid remaining on. Once it’s cooled, remove the lid, taking care not to drip any of the condensation on the top of the pumpkin pie. Gently run a knife around the edges of the pumpkin pie. This will help loosen it when you’re ready to remove it from the pan. Wipe off all condensation from the lid and place it back on top of the pumpkin pie. Transfer to the refrigerator for at least 4 hours until completely chilled, preferably overnight. Serve chilled as-is or with homemade whipped cream or homemade vanilla or cinnamon ice cream. Will you post the instructions, please? This sounds fantastic!! Great sounding recipe, but it is lacking instructions, cooking time, etc. This sounds amazing but the directions are missing for me. I’m using Chrome. Would coconut sugar be similar? It has a rich, almost brown sugar smell – and is unrefined…..but I also have maple sugar too…. Hi Anna! Thanks for stopping by! Honestly, I’m not sure. Neither Emily nor I have tried it in the oven. Since it was created specifically for the Instant Pot, I don’t want to give a guarantee that it will come out perfectly. I *think* it would be OK if you did it in the oven in a water bath. But again, not 100% sure. If you do try it, let me know how it goes! Hello, what is the purpose of the glass lid? I don’t have one and I’m wondering if the whole thing would be ruined if I made it and didn’t cover it? Hi Eden – It helps water from pooling on the top of the pie. You could probably also use some other type of cover if you don’t have the specific glass lid. As long as it fits over the pan and offers a little space for venting. Even loosely tented foil (if you use foil) might work, though I have not personally tried that since I try not to use foil very much. Hope that helps!